Home HAIR Which Eyebrow Shapes Suit Your Face Shape? Have you ever stood in front of your mirror and wondered what is that one thing which can make you look instantly glamorous? What makeup should I do that will open up my eyes? Or something’ is off on my face. What is it? Why don’t you take a look at your eye brows? Are they properly shaped? May be, no. Now how should you groom into a eyebrow shape that will flatter your face? As all haircuts do not suit all face shapes, same goes with brows. We all know that there are six face shapes- long, round, oval, square, diamond and heart. Lets know the best eyebrow shapes which looks great on your face shape. This is of course the most important of steps. Not all eyebrow shapes go with all face shapes. Since you cant do anything about your face shape, the only way to go is to adjust your eyebrow shape! Stand before the mirror and verify with these illustrations. That should tell you what your face shape is! So now that you know what your face shape is,let’s move on to what are the eyebrow shapes you should try and you should avoid. If you have a long face, your aim would be to make it look rounder. Avoid the arch eyebrows; It will only make your face longer. Keep your eyebrow shapes flat. Flat eye brows with a slight downward curve or no curve at all, tens to reduce the length of the face making it seem rounder. This is the perfect choice of all the eyebrows shapes for long face. 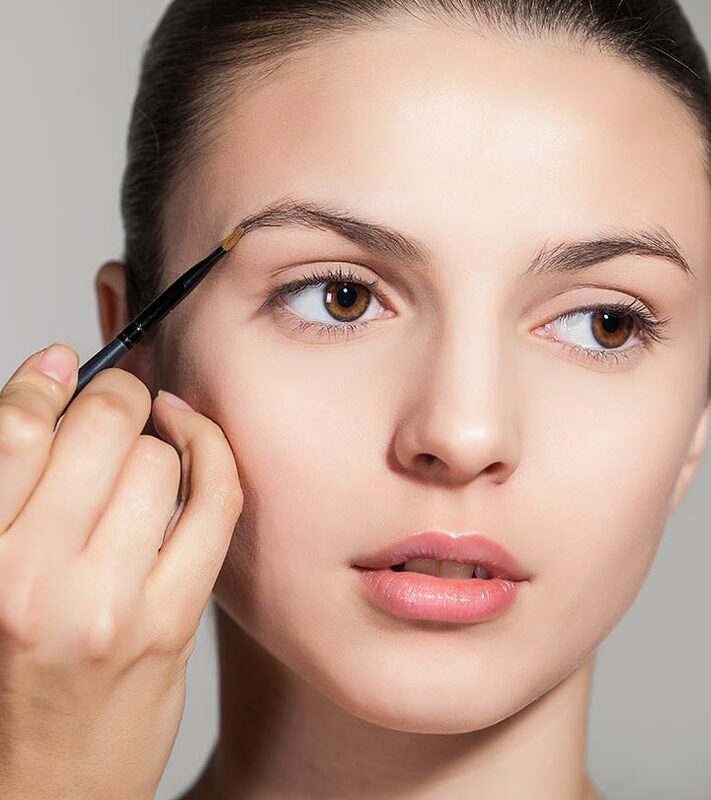 For a round face, you have to make your face look longer.Create high arched eyebrows. If you don’t like sharp arch, then opt for soft arch shape. Avoid round eyebrow shape. It will make your face more round. If owner of oval face, you are lucky. This is considered by many makeup artists as the best face shape. Go for a soft angled look. 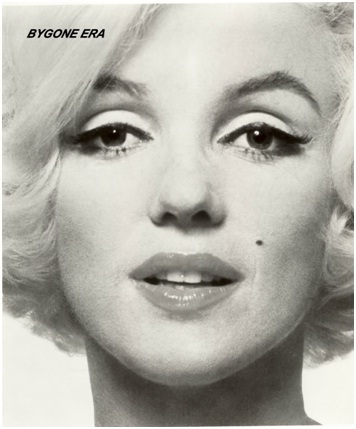 You can pick a slight arch to add more dimension to your face but no matter what do not pick dramatic eyebrow shapes. You already have nice a sharpened out features, this only make the face look more sharp and honestly, it will not be a pretty sight at all! Squared faced beauties have a square jaw which is a very strong feature. Your jaw and forehead are at the same distance making you seem squarish. You need to adopt a look that will soften your look and even elongate the look of your features a little if your looking for a more feminine look. Try a rounder shape or a low soft arch with medium thickness. You don’t want to go too thin or too thick with this face shape. This will tone down your otherwise strong features. In heart-shaped face shape, you have a pointed chin. So in order to soften that look, go for a round brow shape. A low arch round brow will give you a natural look, but if you have a shorter heart face shape, then ask your beautician to give your brows a sharp arch. If your face is shaped like a diamond with stronger and wider cheekbones, soften down the strong features with a curved brow. Having the right shape is the definitely a given for good looks but then how good is that going be if we don’t groom our eyebrows well enough? The right thickness and shape make all the difference and for that the right grooming from the right person is a must. Let’s talk about the most popular techniques used for eyebrow shaping and grooming! 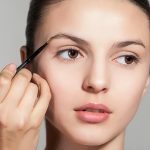 Threading and tweezing are two commonly used techniques to groom and shaping eyebrows for face shape. Professionals from all across the world employ either one or a mixture of both depending on the requirement when it comes to grooming. Threading is done using a special thread which removes the unwanted hair around the brow from the root for a very clean and perfect look. Professionals at any salon can help you with any eyebrow shape with threading. This is done using a special instrument called the tweezer that manually grabs each hair and pulls them from the roots. This process can be done in the comfort of your home. Ideal if you have a strand or two sticking out in between your regular parlor visits. Thread or tweeze after having a shower. The warm water during the shower will open up the pores making it less painful and easy to remove all the hair. A slanted tip tweezer will be better for grip and precision. Always step back from the mirror after a few tweezes to check your progress. Do not ever use a magnifying mirror, it tends to give you a very distorted image. Draw the shape with an eye pencil that is soft and fill it in with some eye shadow (brown) or brow powder/brow cream. This helps tweeze in the right areas and the outcome is so much better and accurate. Aloe Vera gel will soothe your skin. Keep brows at medium thickness, it looks more natural and young as thin eyebrows make you look aged. Choose any of these beautiful eyebrow shapes. Then go get them done in the right way and enhance your facial looks!